One of the biggest perks to hosting these huge giveaways is something I've mentioned before--making a new friend! Before this giveaway, I hadn't been properly introduced to Andrea of Indigo Bananas but I'm SO glad that I've gotten to know her through this! Our conversations so far have been so effortless, meandering from the logistics of the giveaway to our favorite foods to emoticons we find hilarious! I definitely feel like I've made a new friend in her and I'm so thrilled she's participating in my blogaversary celebration! Take a look at the gorgeous prize packs she's put together for 3 lucky winners! So cool! I love the new look of your page. Looks very pretty!! 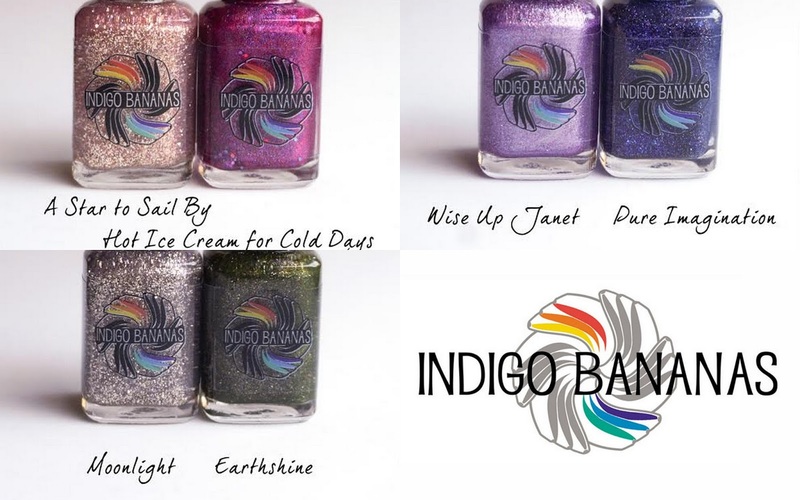 I don't see the box by Rafflecopter so that I can enter for this (Indigo Bananas) giveaway. Love the new look! Thanks for hosting these awesome giveaways! Thanks for the giveaway and I LOOOOOVE the new colors/peacocks on the blog layout! I am loving your new look (Gramma kept peafowl) - Thank you for this swell giveaway!